Improved Initiative: Unified Weapons Master: Is Australia Bringing Back Gladiatorial Fights? Unified Weapons Master: Is Australia Bringing Back Gladiatorial Fights? One of the reasons that UFC and similar organizations have seen such popularity is that everyone wants to see different fighting styles and combat philosophies go head-to-head in a cage match. Of the more than 300 styles of martial arts in the world though nearly 100 of them are either entirely weapons-based or have a heavy degree of weapons use in them. While knight fighting leagues have showcased some of the European fighting styles there hasn't been a single arena yet where any martial art can step in the ring with any other. Australia is trying though, and if it succeeds we might have modern day gladiators! Australia is attempting to put together something called Unified Weapons Master, and the UWM will be a place for all martial arts to step up and show their stuff. Whether it's kendo masters or spear fighters, escrima or fencing, anyone of any style could step up and show off. How does the UWM expect to keep fighters alive though? Mostly by using the Lorica. The word, which comes from Latin, has been used to describe the next-generation body armor that UWM gladiators would don before they set foot on the sands of the 21st century arena. This armor, according to this source, is made of a slew of impact-resistant, penetration resistant materials including carbon fiber, elastomeric foam, and a dozen different polycarbonates. 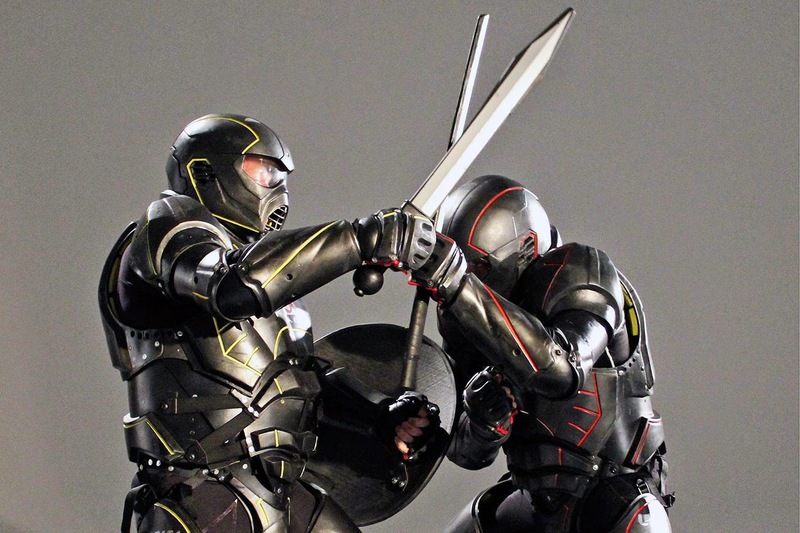 In addition to the protection this armor offers though the Lorica is also jam-packed with sensors that will measure the strength and lethality of blows, which will figure into how matches are scored. When Can I See This? Well, no one's exactly sure yet. While the Lorica is impressive, and there's been a lot of buzz over the UWM as an idea it isn't quite ready to be put on Netflix yet. If you want more information though you should check out the UWM's homepage and take a look at some of their promo videos. Sort of like this one. As always, thanks for stopping in at Improved Initiative! I'm running a giveaway this month as well, so if you stop by The Literary Mercenary's Patreon page and pledge at least $1.00 per month I will send you a free book to go along with the warm satisfaction of supporting this blog. If you want to make sure you don't miss any of my updates then make sure you follow me on Facebook and Tumblr as well!